The Law Offices of Thomas J. Powell, P.C. was founded in 2001. Attorney Thomas Powell dedicates his practice to providing the highest quality general counsel, litigation and trial representation services to individuals and businesses from varied backgrounds and disciplines. 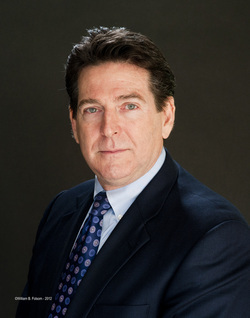 Clients benefit from Attorney Thomas Powell's 25 years of experience as a lawyer focusing on complex litigation matters in construction and government contracts. His ability to assist you is enhanced by his engineering background as well as his special training at Beasley School of Law at Temple University, where he obtained an LL.M. in Trial Advocacy. The Law Offices of Thomas J. Powell, P.C. provides experienced, efficient and responsive representation in the following practice areas: -Construction law and litigation -Business litigation -Contract disputes Over the years, we have expanded our practice to include commercial litigation, residential construction and employment litigation. Additionally, we act as corporate counsel to a number of Virginia companies. Depending on the size and complexity of your legal matter, we may utilize co-counsel to assist in trial preparation and at trial. We are aware that no one wishes to be involved in litigation and we are always ready to pursue the best possible results for you both in and out of the courtroom. The Law Offices of Thomas J. Powell, P.C. prides itself on being able to handle the most complex litigation matters at a reasonable cost. Successfully serving clients in Virginia: The Law Offices of Thomas J. Powell, P.C. serves individuals and businesses throughout the state of Virginia, as well as in Washington, D.C., Pennsylvania and nationally. If you engage in commerce, sooner or later you are almost certain to encounter a dispute with a client or contractor that you'll need outside help to resolve. Thomas J. Powell, P.C. has been assisting businesses for more than 25 years through alternative dispute resolution and civil trials in both state and federal court. We have the knowledge and experience to help your business in cases related to: -Breach of contract -Breach of warranty -Business torts -Construction law -Environmental law -Insurance -Products liability -Professional liability -Real estate -Partnership and shareholder disputes Recovery from breach of contract: When a party to a contract fails to perform, he damages the other business.This damage often goes beyond the immediate inconvenience of getting less than promised by the contract.The breach can also cost you future profits if you are unable to serve your clients as a result. Thomas J. Powell can help you achieve the best legal remedy for a breach of contract, such as: -Compensatory damages reimbursement for immediate monetary loss -Consequential and incidental damages compensation for additional foreseeable losses caused by the breach -Attorney fees and costs amounts available by the contract or by statute -Liquidated damages amounts specified in the contract that are payable for particular breaches, such as late or substandard performance -Specific performance court order requiring the breaching party to fulfill the terms of the contract -Rescission cancellation of the contract, with both sides excused from further performance and payments made under the contract returned -Reformation change in the terms of the contract when the court believes there was an honest misunderstanding by the parties about what was to be performed Affordable alternatives to a civil suit: The cost of traditional litigation can easily exceed the amount of the contract. Fortunately there are various means of alternative dispute resolution (ADR), including mediation and arbitration, which can be less costly and quicker than civil lawsuits, but can deliver the same remedies. Our skilled negotiators have successfully represented clients in arbitration and mediation hearings, and have settled lawsuits prior to trial, saving our clients expenses and getting their businesses back on track.